November in Lake Arrowhead ~ Home Sales were on the rise yet again!!! 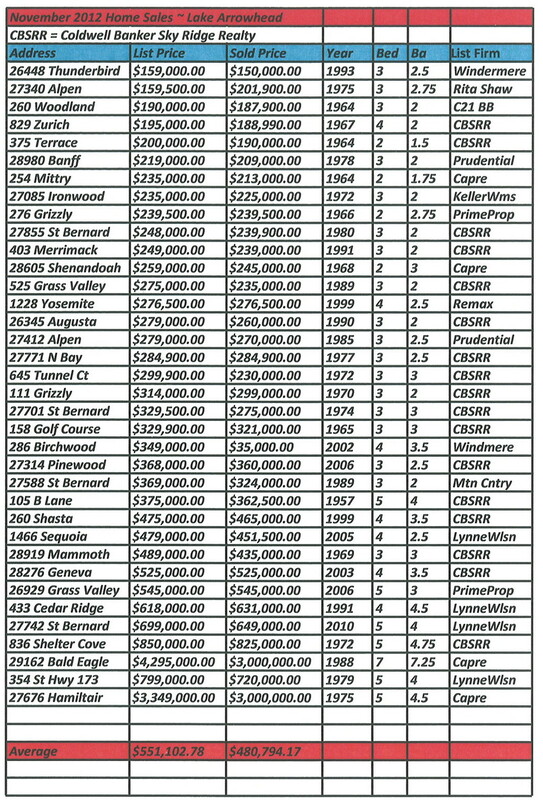 We are having a strong finish to the year in Lake Arrowhead and we are seeing all price points doing very well. Below are the results for November 2012. All information was obtained from Rim of the World Association of Realtors, information is deemed reliable but not guaranteed.